I came back to visit Wisconsin at the time the fair was going on. They usually have a good entertainment lineup, so that’s one of the reasons I’ll go for a night or two. 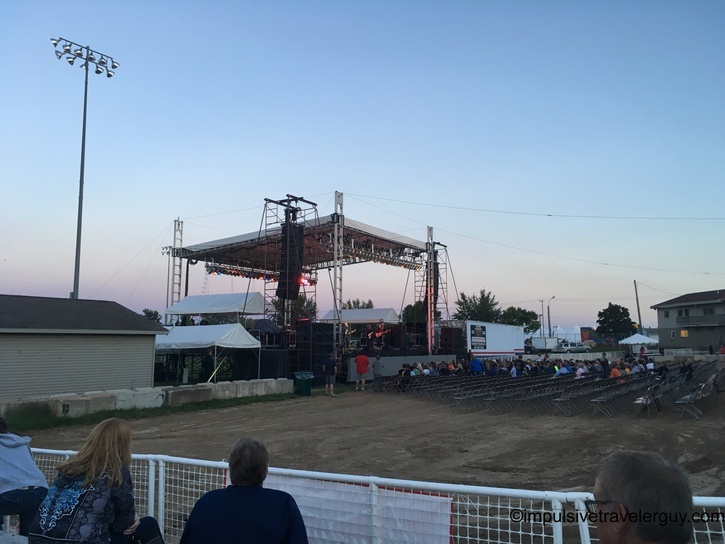 This year, Blue Oyster Cult and Nitty Gritty Dirt Band were playing on separate nights, so I went to see each of them. 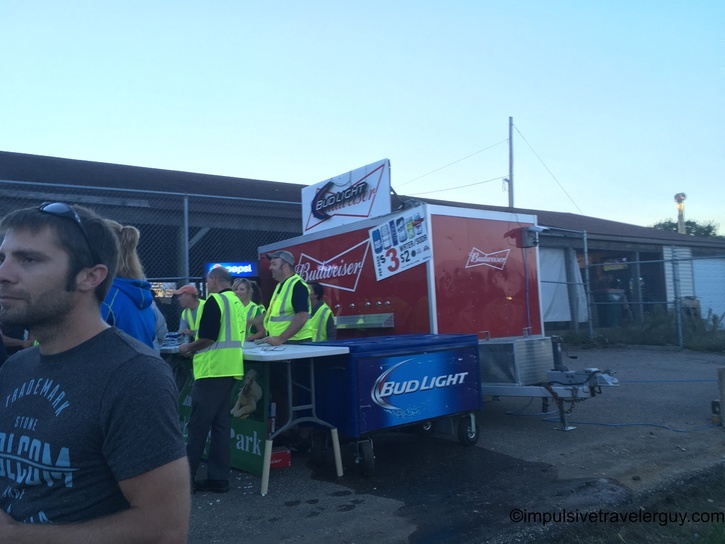 For Blue Oyster Cult, I went with a few friends and we met in the beer tent. This was the view of the stage. By Wisconsin standards, beer was expensive. By Texas standards, it was cheap. 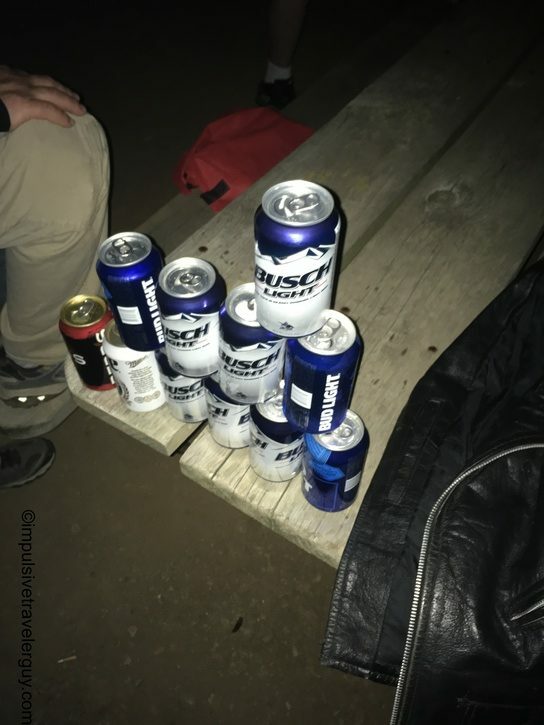 We were making a beer-a-mid in the meantime. Overall Blue Oyster Cult put on a decent show. Later that night we hit up the bars. 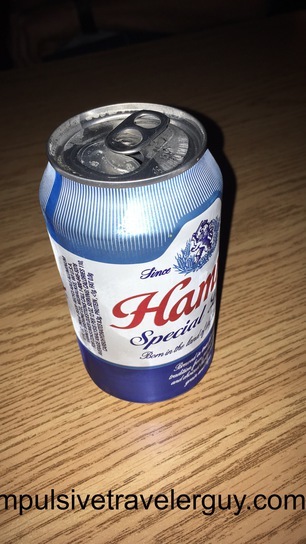 They didn’t have my Hamm’s but they did have Hamm’s Special Light. For Nitty Gritty Dirt Band, I went with my parents. I sat in the grandstands. 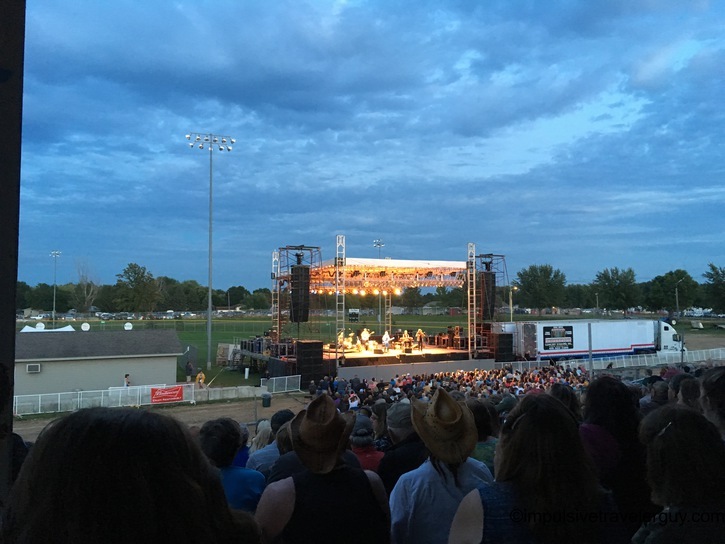 Nitty Gritty Dirt Band put on a good show and it was good seeing them. I was happy I saw both bands at the fair and I wonder who they are going to get next year.